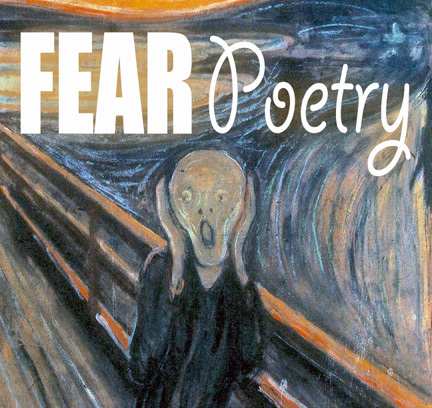 I’ve been a HoCoPoLitSo board member for several years now, but I am only now brave enough to make this confession: Poetry always scared me a bit. As an English major in school, I avoided poetry – I took the required Introduction to Poetry class during my senior year because I put it off ‘til the very end. I was afraid. But during the last few years, I’ve had real contact with (and real context for) poetry. What I’ve come to accept is simply that when I read or hear a poem, either I get it or I don’t get it – either I feel something or I feel nothing. And that’s good enough. When Martín Espada came to Blackbird Poetry Festival in 2011 and read “Imagine the Angels of Bread” I definitely, most clearly, undeniably felt something. Oh yeah. When Patricia Smith performed with the Sage String Quartet just last weekend, I didn’t just feel something – my mind was blown to pieces. And when the pieces found each other again and returned to whole, it looked different. Changed. All of this made me think about poetry and my fear of it. This thing that made me tremble in fear had been making me feel things all my life. It had introduced me to new ideas and paths, it had comforted me, it had fired me up, and it had given me peace. Silverstein’s poems were my first introduction to the idea of playing with words to create meaning – and to make people laugh. Macbeth sealed my fate – I would study English in college. When I was in college, I discovered “The Lake Isle of Innisfree” and it has become my favorite poem – the one that I keep in my pocket on Poem in Your Pocket Day every April. It speaks peace to me. When I started teaching, Taylor Mali’s “What Teachers Make” gave me a sense of justice. On those days when I felt knocked down by unreasonable students, failing students, mean students, nice but underprepared students, Mali’s poem gave me hope. I make a goddamn difference. When a few years ago, my father died of cancer, I turned to Emily Dickinson, whose poems I had never been able to understand. Her poems seemed like words that were almost randomly strung together with dashes. But I realize now that I never “got” them because I never needed them before. I’m not a poet. And I don’t even claim to be a poetry lover. All I can say is that poetry has been in my life – it had been sneaking up on me now and then to guide me, to help me, and to change me. And guess what? It has been doing it to you, too. By hocopolitso in Guest post on July 6, 2013 .